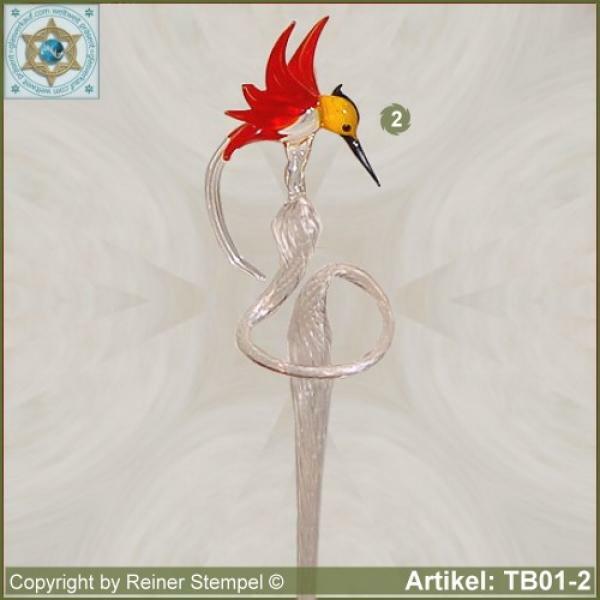 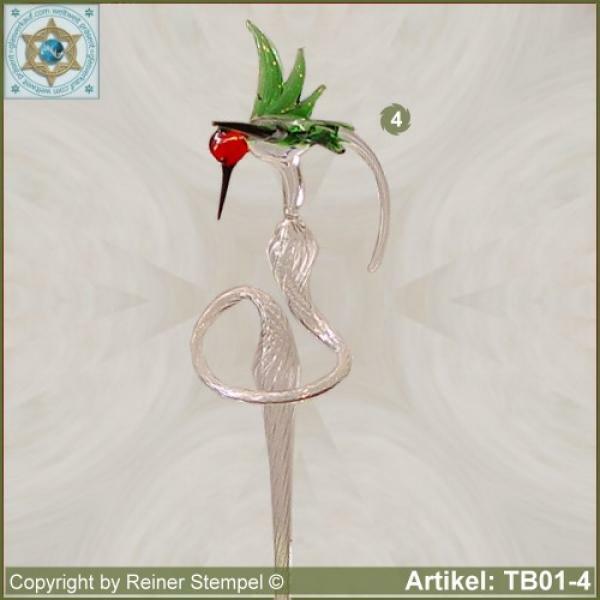 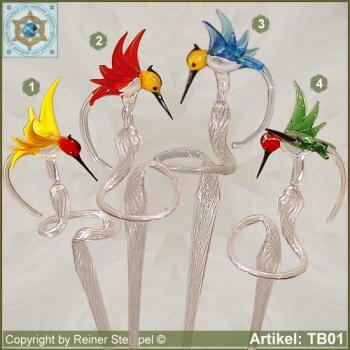 Our hand-made glass products Flowers rod, orchids rod, flower holder made of glass with glass hamming bird 4 variants made of Lauschaer glass are a beautiful and functional gift idea. You give your plants the necessary hold and emphasize their blooms. 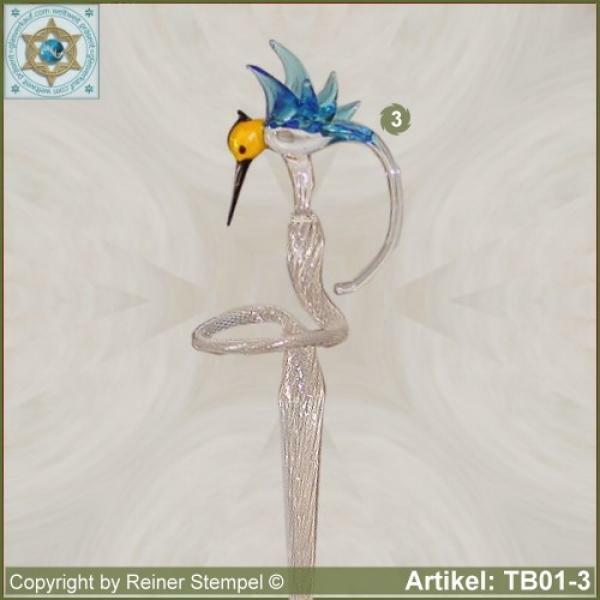 The glassy rod is at the low end to about 2 cm in length more narrow and rounded, so he takes a firm hold in the earth. At the upper end by glassrod is a loop for the hold of leaves or flowers. 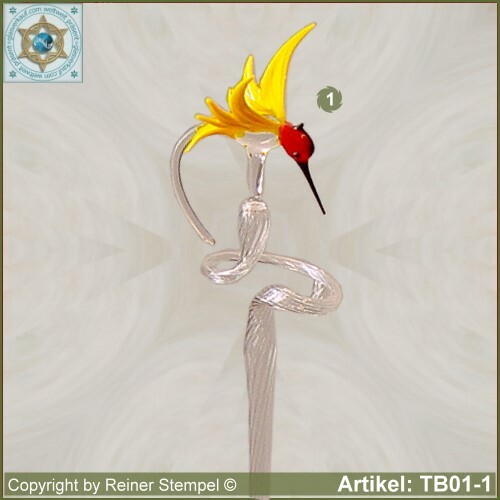 As a catcher for decoration here is a "humming-bird" colorful and with stylish design incorporated. At flowers-rods made of glass there is no fade of the vibrant colors also not by constant, intense sunlight and no weathering in the potting soil.